I couldn't believe it - for once I saw a cyclist in front of me and I was gaining on him. Fair enough though, as you can see Lee was carting a lot more on his bike than me. The problem was should I put my foot down to try to catch him or would he disappear, as I was about to turn off to head up the Korokoro Hills in a couple of kilometres. 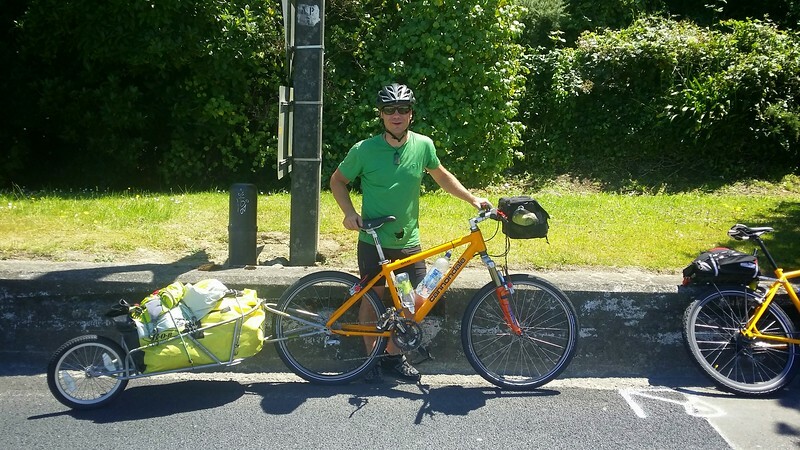 Lee flew to Nelson from Auckland and was cycling back home - he had just got off the Cook Strait Ferry and was leaving Wellington. We chatted for 20 minutes and sadly we had to go our own ways after a very nice meeting and chat indeed. Super nice to meet you Lee and hope your trip is going well! Almost forgot, absolutely love the colour of the bike, and once again the good old Samsung Galaxy S4 takes a most decent photo and just as well, as Lee is a professional photographer!